Deep learning is a sub-field of machine learning that has led to breakthroughs in a number of artificial intelligence tasks, achieving state-of-the-art performance in computer vision, speech recognition, and natural language processing. Not surprisingly, many companies are looking for ways to start applying deep learning to their business processes and data assets to realize the vision of an intelligent enterprise. However, building deep learning models and deploying them to enterprise applications requires specialized skills in neural networks, plus an understanding of enterprise engineering principals. The objective of this course is to provide a hands-on introduction to deep learning, with emphasis on practical enterprise applications. Taking an engineering approach to deep learning, the course focuses on building deep neural network models for typical enterprise problems, including when to use deep learning, examples of industry applications, and how to deploy deep learning in enterprise systems. The course features experts from academia and industry to show different perspectives on deep learning. All examples are implemented using the TensorFlow deep learning framework. The course emphasizes hands-on experience of deep learning over theoretical comprehension. We will be using Jupyter notebooks, Python, and TensorFlow extensively throughout the course. All code examples from the course are made available to learners, to follow the course or to kick-start their own development project. All described systems are free-of-charge. Dr. Brian Clarke is a data scientist and leads the Deep Learning Center of Excellence in Walldorf. He began his career at SAP in 2014, working in Custom Development as a senior data scientist, before transferring to the Innovation Center Network in 2016. Prior to this, Brian taught and researched in mathematics and enjoyed pushing the bounds of his own sanity by thinking about geometry in infinite dimensions. He earned his Ph.D. in 2009 from the Max Planck Institute for Mathematics in the Sciences, for which he was awarded the Otto Hahn medal for the top dissertation in mathematics from the Max Planck Society. Following that, he worked as a postdoctoral researcher at Stanford University and the University of Münster. Isil Pekel is a developer in the SAP Machine Learning Foundation in ICN, focusing on implementing machine learning services. She has 5 years experience in programming. Prior to joining ICN, Isil worked as a developer in SAP Hana Core Development, contributing to clustering and index mechanisms in the SAP HANA column store database. 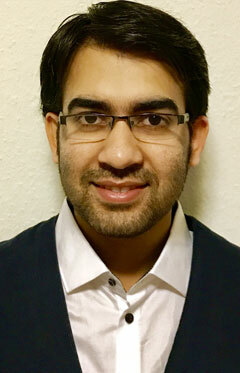 Rohit is a master’s graduate from Saarland University. His specialization has been in Natural Language Processing, Data Mining, Machine Learning and Deep Learning. Currently, he is working as a Data Scientist in SAP Deep Learning Center of Excellence. 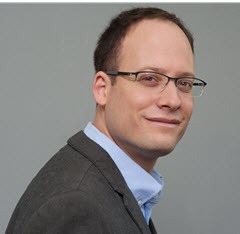 Dr. Shachar Klaiman is working as a data scientist in SAP Deep Learning Center of Excellence. Before joining SAP, he worked as a research scientist in the university of Heidelberg, where he performed research in many-body quantum mechanics. He earned his Ph.D. in 2010 from the Techion – Israel institute of technology. He has received numerous awards and has published many research papers in international journals. Dr. Hoang-Vu Nguyen is a Senior Data Scientist in the Deep Learning Center of Excellence at SAP. He joined SAP since March 2016 and has been working on various applied Machine Learning / Deep Learning projects since then. He earned his Ph.D. in 2015 from the Karlsruhe Institute of Technology. He did research on topics in both Machine Learning and Data Mining. 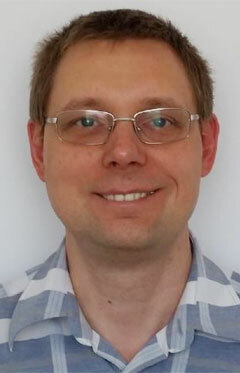 Lennart Van der Goten is a Data Scientist in the Deep Learning Center of Excellence at SAP. He is a recent graduate of ETH Zurich whose fields of interests are generative neural networks, natural language processing, information retrieval, time series and scalable AI. Alexey Medvedev is a data science expert at the Deep Learning Center of Excellence. He has worked at SAP since 2002. This course was held from Oct 23, 2017 through Dec 14, 2017. This course was rated with 4.1 stars in average from 763 votes. Dr. Markus Noga is head of the Machine Learning team at SAP. His vision is to make enterprise applications intelligent. Markus leads teams that are building SAP Leonardo Machine Learning applications and bringing SAP Leonardo Machine Learning services to SAP Cloud Platform. These teams are based in Germany, Israel, Singapore, and the United States, and form part of the SAP Innovation Center Network. Markus previously served SAP as VP for New Business & Portfolio, where he drove the launch of SAP HANA Enterprise Cloud and the continuous renewal of SAP’s global R&D portfolio. He also previously worked as a director in the Corporate Strategy Group. 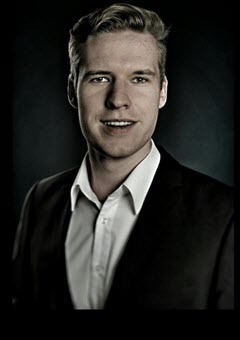 Dr. Daniel Dahlmeier is a development manager at the SAP Innovation Center Network and head of Machine Learning for Sales and Service at SAP. Daniel leads teams building machine learning services for SAP’s Customer Engagement and Commerce applications. Before joining SAP, Daniel was doing research in natural language processing at the National University of Singapore. He enjoys building state-of-the-art technology to solve real-world problems. Josh Gordon works as a developer advocate on the TensorFlow team at Google. He has over a decade of machine learning experience to share, including research, teaching, and engineering. You can find him on YouTube and Twitter. Steve is a Data Scientist at the SAP Deep Learning Center of Excellence. He graduated from Karlsruhe Institute of Technology. In his projects and prior engagements, he worked on Deep Learning applications in Natural Language Processing and Recommender Systems. 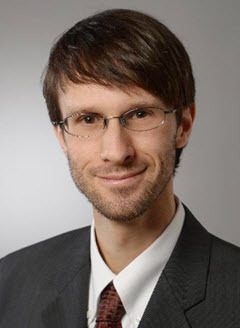 Dr. Christian Reisswig is a senior data scientist in the Deep Learning Center of Excellence at SAP, where he enables SAP products to become intelligent. Christian has worked on AI for self-driving cars, as well as applying AI to computed tomography. He was also a scientist in theoretical physics, published many research articles in international journals and held talks at conferences, summer schools, and workshops. Dr. Oliver Kroneisen is currently a VP, head of Financial Operations Development in LoB Finance, focusing on improving the Order-to-Cash and Procure-to-Pay processes in S/4HANA. He is also promoting Automation and Machine Learning in SAP HANA and managed the team that built SAP Cash Application powered by SAP Leonardo. Georg Glantschnig is senior vice president at SAP Hybris, where he leads a global team primarily responsible for developing, building, delivering, and maintaining our customer engagement solution, SAP Hybris Cloud for Customer. In his two-decade tenure at SAP, Georg has held various roles in both the United States and in Germany. He was previously chief data scientist Cloud for Customer, COO Engineering Cloud for Customer Engagement, and COO for Cloud Line of Business Apps (CRM, Travel, and SRM). He also served as the assistant to the CEO SAP AG from 2006 to 2009. Currently, Georg is a member of the SAP Silicon Valley Leadership Circle and is an SAP mentor as well. 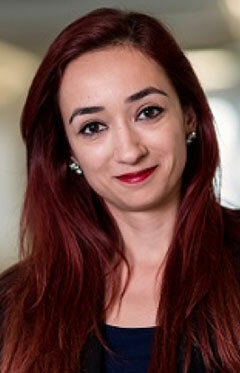 Dr. Sinziana Eckner is a data scientist on the Digital Intelligence team at JPMorgan Chase. She is responsible for building recommendation systems that enable the personalization of Chase’s web sites and mobile apps. Sinziana holds a Ph.D. in mathematics from the Courant Institute of Mathematical Sciences at New York University. An advocate for women in technology, Sinziana is the lead organizer of the “NYC Women in Machine Learning and Data Science (WiMLDS)” meetup group. Gabriel Maher is a PhD student at the Institute for Computational and Mathematical Engineering (ICME) at Stanford University. For his research Gabriel is developing cardiovascular medical imaging algorithms using Deep Learning. In addition to his research Gabriel regularly teaches courses and workshops on Machine Learning and Deep Learning for academic and industrial audiences. David Nola is a deep learning solutions architect at NVIDIA, specializing in time-series applications and computer vision workflows. David works with professionals in healthcare, the industrial Internet of Things, and financial services to accelerate their data science processes. He has a Master's degree in computer science from UCLA, where he specialized in artificial intelligence, deep learning, and hyperparameter optimization. Dr. Miro Enev is a deep learning senior solutions architect with NVIDIA, specializing in advancing data science and machine intelligence. He is part of the team focused on industrial IoT, supports cloud strategic partners, and helps clients in the PacNW apply the latest AI research to their business challenges. Miro studied cognitive science and computer science as an undergraduate at UC Berkeley. 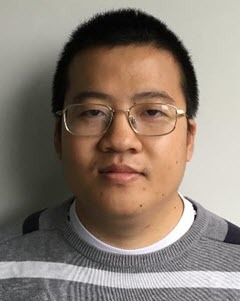 He also holds a Ph.D. from the University of Washington’s Computer Science and Engineering Department, where his thesis was on machine learning applications in emerging sensor contexts. Dr. Damian Borth is the Director of the Deep Learning Competence Center at the German Research Center for Artificial Intelligence (DFKI) in Kaiserslautern, the Principle Investigator of the NVIDIA AI Lab at the DFKI, and founding co-director of Sociovestix Labs, a social enterprise in the area of nancial data science. Damian‘s research focuses on large-scale multimedia opinion mining applying machine learning and in particular deep learning to mine insights (trends, sentiment) from online media streams. His work has been awarded by NVIDIA at GTC Europe 2016, the Best Paper Award at ACM ICMR 2012, the McKinsey Business Technology Award 2011, and a Google Research Award in 2010.